I am obsessed with this easy shishito pepper recipe. Last week I bought 3 bags of shishito peppers at the store and they have since all been consumed. And I’m hoping they have more when I go back this week. 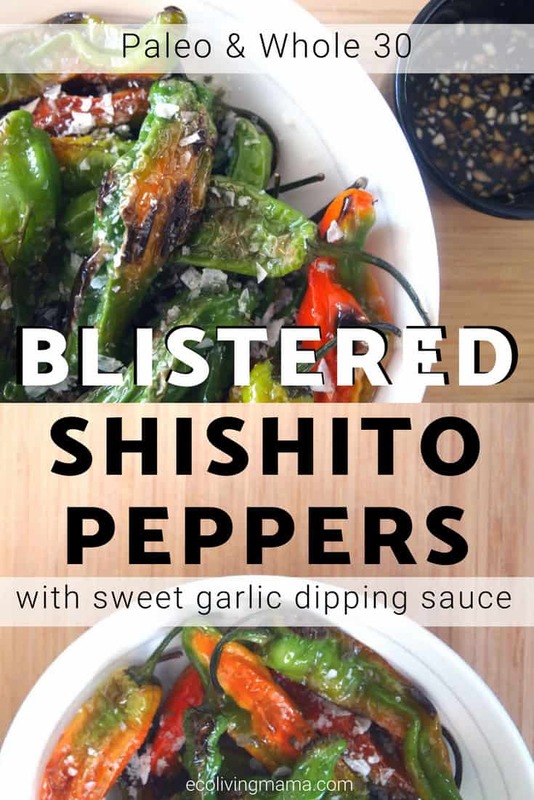 I love the simplicity of this shishito pepper recipe, and I find them delicious with or without the dipping sauce. The shishito pepper dipping sauce comes together in minutes and is Paleo and whole 30 friendly, since it uses Coconut Aminos as the base. The dipping sauce gives the peppers a more Asian inspired flavor and makes for a wonderful presentation if you’re preparing these for guests. Sometimes I skip it and just make the peppers sprinkled with flaked sea salt, and I love them that way too. Honestly, I would eat shishito peppers prepared any way, any time. And since shishito peppers, like all peppers, are particularly high in vitamins K and C, I can eat them every day and feel zero guilt. Did I mention that I love these peppers? What do Shishito Peppers Taste Like? 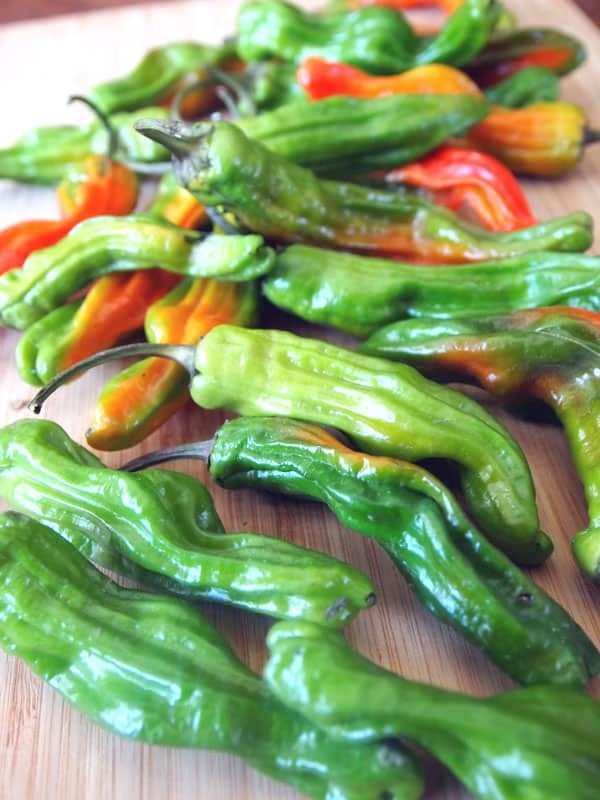 I became interested in shishito peppers after tasting their close cousin, the padron pepper, in Spain and fell in love. To my disappointment, I could not find padron peppers anywhere when I got home. I even searched high and low for seeds to plant my own, but had no luck. Then I discovered the shishito pepper, who has a similar mild flavor and the same fun surprise of every 10th pepper or so being spicy. When my husband and I first tried padron peppers in Spain, we loved them. They were served tapas style at almost every restaurant we visited, and simply prepared with olive oil and sea salt. The peppers were so flavorful, and it was so much fun to search for a spicy pepper in each bowl! It took us a full week of tasting peppers across the country before we actually found a spicy one – and it was definitely spicy! 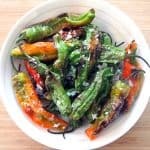 I have found shishito peppers to be very similar to padron peppers: they are delicious pan fried with just oil and salt and are mostly mild with the occasional spicy pepper mixed in. Most of the time the shishito peppers we get are mild, but we have had a few batches that were much spicier! Note: Traditionally padron peppers are prepared with olive oil, but I much prefer to use avocado oil in this shishito pepper recipe because it has a higher smoke point and is flavorless. I have found shishito peppers available at my local Sprouts, where I do most of my grocery shopping. They do not seem to have them year round, but in the late summer and early fall they are typically available by the bag full. I buy them every time they are in stock. Ok, on to this crazy fast and super delicious shishito peppers and dipping sauce recipe! 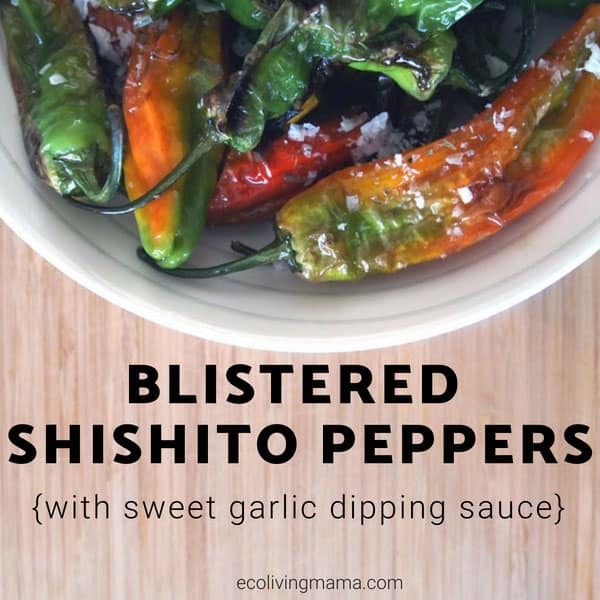 These shishito peppers are easy to prepare and make a wonderful side dish or appetizer. 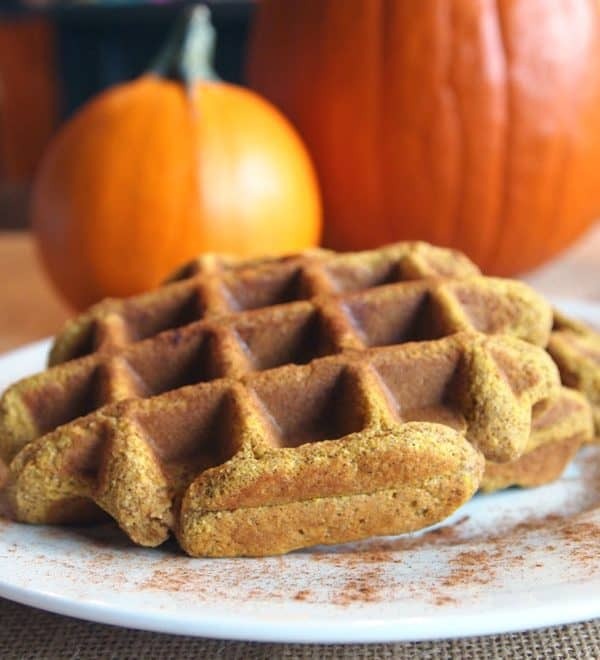 They are delicious sprinkled with sea salt or dipped in my sweet garlic sauce. Wash and thoroughly dry the peppers. Heat a large sauté pan over medium-high heat until hot. Add avocado oil to mostly cover the bottom of the pan, then immediately add the peppers. 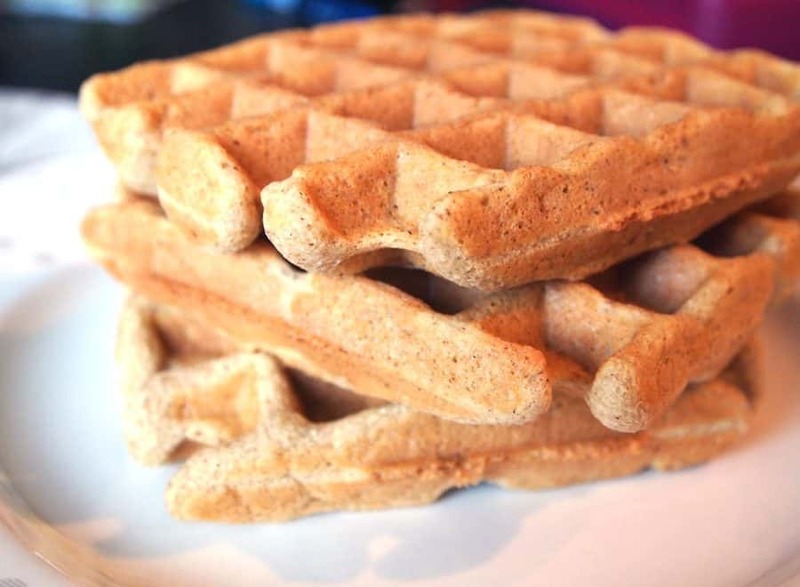 They will sizzle and pop, so be careful! I usually do this in 2 batches depending on how many peppers I have. Cook for 3-4 minutes, the flip and cook another 3-4 minutes or until peppers are blistered on the outside and softened. Remove peppers to a bowl and sprinkle with sea salt. 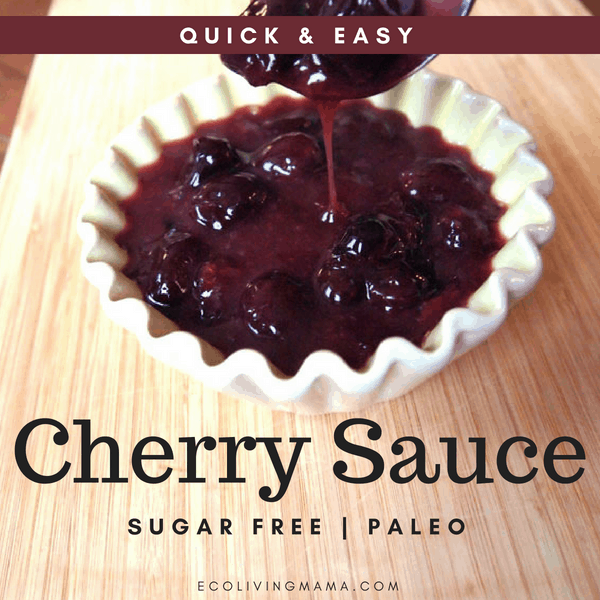 Serve with Sweet Garlic Dipping Sauce if desired. Serve this easy, 2-ingredient dipping sauce with pan fried shishito peppers for a quick and delicious appetizer or side dish. Chop garlic and mix with coconut aminos in a small bowl.